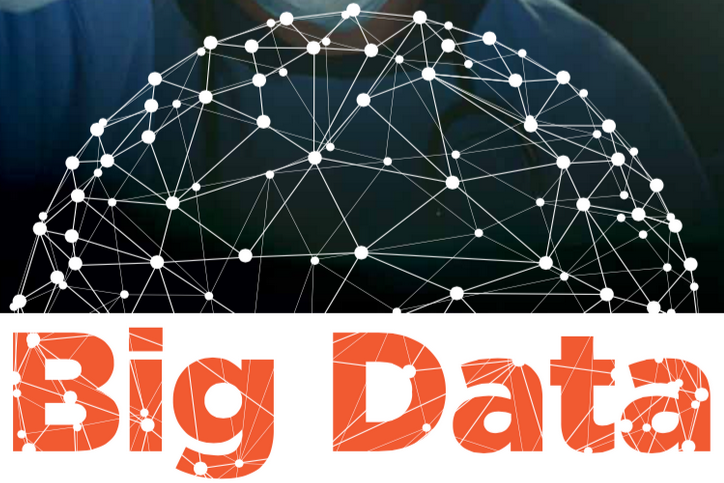 Big data is still associated with online marketing, and how companies and agencies use people’s information, search histories, and online profiles to personalise ads and specifically target them to increase sales. However, big data does not necessarily need to be linked to increasing commercial profit. As time goes by, more companies from the most varied industries are realising that analysing all the data they have available is highly beneficial, as it helps them identify new opportunities, increase their productivity, and overall contribute to the progress of humankind. Specifically in the transport, sport, and healthcare industries, we have seen NEW data being used for better service provision, improve people’s quality of life, and ensure sustainability. In transport, it is increasingly common to see pre-paid travel cards at use; in Singapore people use their e-z link cards, in Queensland, go cards, and in London, oyster cards. Each one of these cards have a serial number, and not uncommonly are linked to people’s email addresses, phone numbers, or even pay-pal accounts or credit cards. In a well-connected city, each time someone uses their card – to get on and off busses, trains, and ferries, the information is recorded. Multiplied by the number of public transport users, this data is used to map changes at different times of the day, and to predict necessary infrastructure improvements over the years, as populations grow. Understanding how crowded a particular bus, range of busses, or area is at a certain time allows transport providers to plan ahead – alternative routes, other transport options, extra fleet requirements, etc. Having customers’ contact details, though somewhat invasive, lets providers send out alerts should an unexpected event occur and affect customers’ usual journeys. In sport, professional teams and athletes who are financially sound have been investing in tracking devices, wearables, and cameras, and have gone so far as to recruiting an analytics team, to improve their performances, avoid serious injuries, and make better strategic choices. In tennis, devices and cameras can now track a player’s distance, intensity of movement, changes of directions, angles, positioning, and even facial expressions and emotions, and analysts can compare the data and find patterns and trends. In the recent Australian Open, Dr Machar Reid, Tennis Australia’s innovation catalyst, used big data to analyse Nick Kyrgios’s surprising loss to Andreas Seppi: “in terms of quantifying it, with Nick in sets three and four, what you saw was a 30-40 per cent reduction in his work rate across those two sets. That is, the average intensity for each shot. In the fifth set the work rate elevated again. In soccer, especially within big European teams, every player’s activity is measured. From speed to kilometres run, and even off ball time data are collected. Compared with historical data, sports analytics teams can predict and determine when athletes are in danger of overexerting or injuring themselves. While wearable tracking devices are common-place for athletes, popular fitness trends have made them to be nearly as vital for everyday people; and as the general public gathers information about their lifestyles, such as calorie intake, kilometres walked, heart rate, etc., in the very near future patients will be able to share this information with their doctors. And a powerful database will be available to health professionals all around the globe. Such a global database and linking data sets (e.g., health and transport) will allow health professionals and governments to better understand subjects such as epidemic diseases and how genetic factors and lifestyle choices affect people’s health. But furthermore, combined with traditional consultations and tests, this information will also allow doctors to compare individual patient data with global information and predict future issues related to a patient’s certain habits and characteristics, and take a much more preventive approach to their practice. As surgeons recognise the power of data for their own practices, clinicians will be able to understand what areas they are excellent at and what areas they should be concerned about. SurgicalPerformance is the very tool that analyses de-identified data to provide surgeons with benchmarking and comparative information. On a larger scale, SurgicalPerformance has started developing algorithms to adjust crude outcomes data for risk factors. Our latest tool, the Surgeon Score Card provides feedback to gynaecologists about the actual incidence of surgical outcomes and compares that number to the expected incidence based on an individual patient’s risk factors. At SurgicalPerformance we will commence work on even more powerful statistical algorithms very soon and will be able to provide intelligence and assure confidentiality and security to our users at the same time. At SurgicalPerformance, we are big fans of NEW data. We believe in using this information to help surgeons, hospitals and health care organisations to improve their clinical practice and ultimately provide the best possible patient care in the future.